While responding to the sound of gunfire- a group of U.S. soldiers made a surprising discovery. The victims of the shooting were not humans at all- but rather stray dogs. 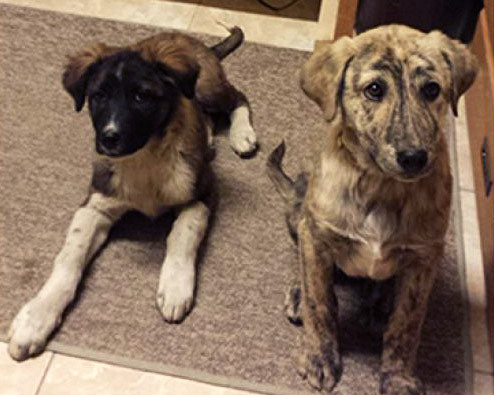 The soldiers intervened, saving the lives of two puppies that were then taken back to U.S. base camp. The puppies, Rommel and Blitz, were raised by the soldiers. Unfortunately, when the puppies and soldiers were separated at the end of their tour; but, this week the puppies were flown to the United States to be reunited with the soldiers that saved them. But Rommel and Blitz are only part of the story. Fox News reports that the effort to bring these dogs to the United States is only one instance of many. A group called Guardians of Rescue is helping reunite dogs of war with American troops that cared for them while in Afghanistan. The story is truly touching and we wish Rommel, Blitz, and the other dogs of the program (and their brave humans) the best! If you've ever wanted robots to identify your cat then we have big news for you! A new technology has been developed that can recognize your cat's face. Though the technology has been around for humans for some time, it's only recently been improved to identify individual cats. But what practical purpose is there for feline facial recognition? According to Time, the technology was developed by 42ARK to help create smarter cat feeders. Currently, automated cat feeders are commercially available so that you can ensure your cat is served regular meals while you're away. However, for households with multiple cats- regulating meals can be even more difficult. 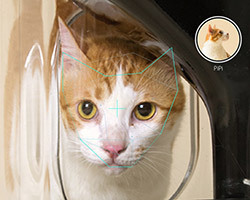 To prevent one cat from hoarding the meals of your other cats- 42ARK hopes to use this facial recognition technology to feed specific cats and better track their nutrition and overall health. In mid-May, Dave Snyder and his family were on vacation and had left their dog with a sitter. It was then that TJ the beagle said farewell to the calm life of a domestic dog in exchange for the rough and tough life of a stray. TJ had been a research dog for the first year of his life, resulting in a general distrust of humans. Due to these issues, TJ evaded search efforts for weeks. Unfortunately, TJ was better off with his humans- as his time in the streets ended in tragedy. TJ was struck by a car last week before being picked up by Boulder Animal Control in Colorado. TJ had a microchip that allowed his owners to confirm his identity. 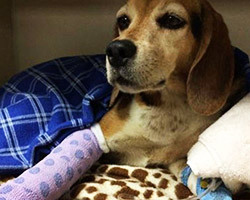 Unfortunately, the accident cost TJ a leg and cost his family $12,000 in veterinary bills. You can read more about TJ and find a link to donate money towards these exorbitant medical bills on Mashable. Summer is a great time to catch up on your reading and immerse yourself in a world of words; so grab a book this weekend and sit in the shade of a tall oak tree with one of several fine reads suggested by the Keep the Tail Wagging blog. In a short post, blogger Kimberly Gauthier offers a series of book suggestions for any reader looking for their next adventure. The list opens with suggestions specifically curtailed to dog owners (or dog lovers) but also lists some other suggestions. 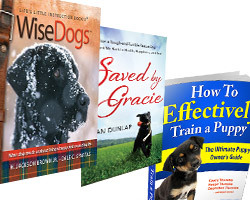 For a short synopsis of a few dog books and a list of other books that deviate from the canine theme, check out the actual blog post here. If you love dogs, follow their blog for more articles on caring for dogs and news that affects your pet. Did we miss anything this week that your thought was a big deal? Let us know what you think of this weekly recap in the comments section below!